Yup! Happy Mother’s Day to you too, Beth. Haha… true!! Happy Mother’s Day, Beth!! Hahaha! Truth! Happy Mother’s Day! By the way, thanks to Dr Spock for easing my anxiety attacks during my pregnancy and early child-rearing days. Happy Mothers Day to you! Enjoy your day! Happy Mothers Day to you too, Beth! Thanks for all the wonderful posts! 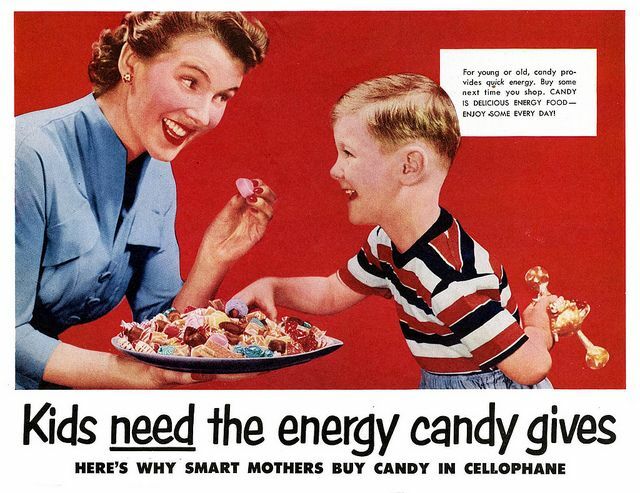 A Happy Mother’s Day wish, Beth, wrapped in cellophane especially for you! Have a lovely day and it’s true about the candy, right? Happy Mother’s Day! I love the old ad. Happiest of Mother’s Day to you Beth. Hope you enjoyed it. He is right about that! Oh my goodness 🙂 My mother certainly missed the boat on the candy parts. there’s still time to get your candy in! For some reason I can’t see the image, but the quote is priceless! Oh now I see it. LOL. I hope you had a good mothers day! I did this busy schedule and worked on Mother’s Day and missed everyone’s lovely wishes. Yours were definitely special on my post and this was a particularly sweet wish! 🍭🍬🍫 I need my daily allowance of candy and whole heartedly support this post.